It was the midweek of an off-peak season. Usually, times like this, I would expect to have the beach all to myself. But this was not an ordinary beach. This was Boracay. And in Boracay, even a slow day is roaring. 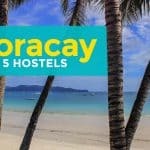 Boracay has always been the flagship beach destination of the Philippines. It has topped many lists of the greatest beaches in the world, compiled by international travel magazines. All this lovin’ from local and foreign press and backpackers has been drawing swarms and swarms of tourists. What used to be an unspoiled sleepy village transformed into an overdeveloped party island. Even upscale hotels and restaurants have found their way to the island, attracting luxury travelers. Yet, it remains friendly to the budget-conscious. 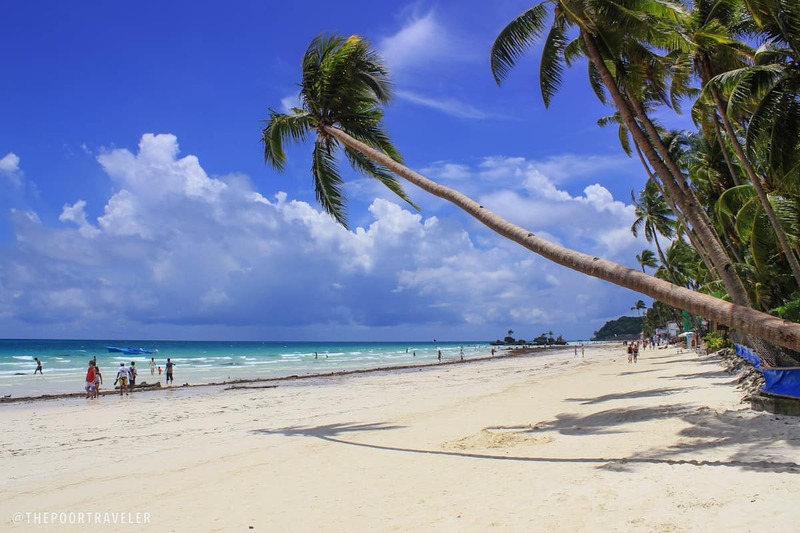 Located off the northwestern coast of Aklan, Boracay Island is very accessible to the beach-going public. If you’re coming from Manila, flying is the best option. All major airlines fly to either of them. 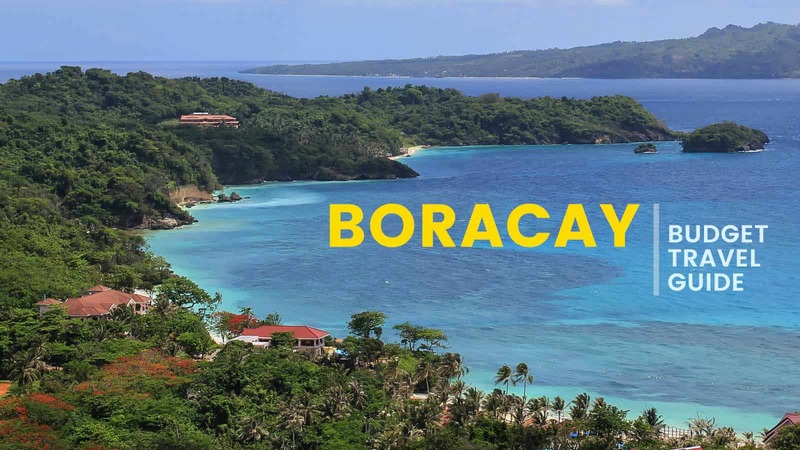 Two airports serve Boracay-bound passengers. Each airport has pros and cons. Kalibo is farther, requiring around 2 hours of travel time, but fares are much cheaper. Caticlan is closer, 15 minutes away, but fares are way more expensive. From Kalibo Airport, take the bus or van to Caticlan Jetty Port. Fare: P200. If you’re a big group, you may also consider arranging a private van transfer that will wait for you at the airport. I have tried this pre-arranged setup before when I was part of a group of 10. Cost was P3800 roundtrip (P1900 one-way, or P180 per person per way). Upon arrival at the jetty port, proceed to the booths near the entrance to the building and settle the Terminal Fee (P100), Environmental Fee (P75), and Ferry Fare (P25). Inside the port building, register, proceed to the Passenger Waiting Area, and wait for boarding announcement. Board the boat or ferry to the island. You will dock at either Cagban or Tambisaan Port. Either way, there are tricycles waiting here that can take you to your hotel. 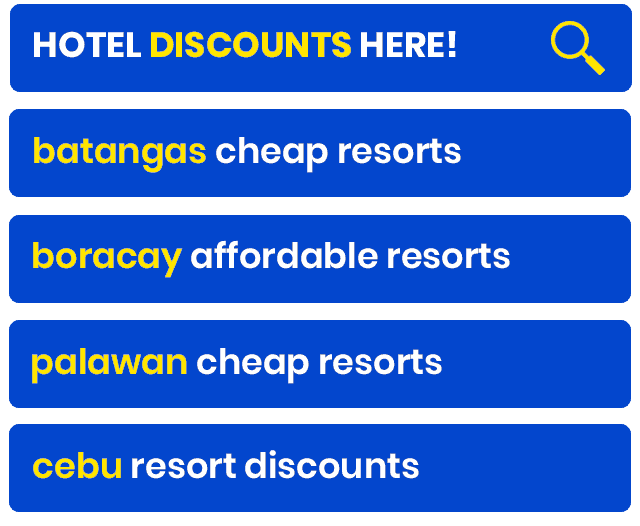 If your hotel is in the White Beach Area, cost is P100 per ride. If you’re coming from Caticlan airport, you can take a tricycle to the port. You can also walk; it should take around 10 minutes. Or check out this video by Adam John of Boracay TV! While Boracay has some of the most expensive hotels in the country, you will also find the other end of the spectrum here. Hostels and guesthouses are not the obvious choice to the common tourist. But if you’re not choosy and you’re willing to let go of the aircon and other amenities, you’ll be surprised by the number of options awaiting indiscriminate travelers. Hostels. Fan rooms can be booked for around P500 during off-peak. A bed in a dorm costs as low as P300 per night. Agoda is a good place to start looking for affordable hostels. I stayed once at Frendz Resort at Station 1 for P500 per night (Dorm room), and it was a pretty pleasant experience. Not beachfront but close enough. Just a bed and a fan, but the backpacker vibe made up for it. I always like places where I could meet other travelers and make friends. Budget Hotels and Guesthouses. If hostels aren’t your thing, budget hotels and guesthouses are also a good choice. Agoda have a rich selection of hotels. Most beachfront restaurants are very costly. Even the P300-buffets along White Beach sound good, but they taste disappointing. There are mid-range restos farther from the beach that may be worth a try. But if you’re really concerned about the prices, your best bet are the turo-turo carinderias along the main road and inner alleys. P60 should already buy you a decent rice meal. 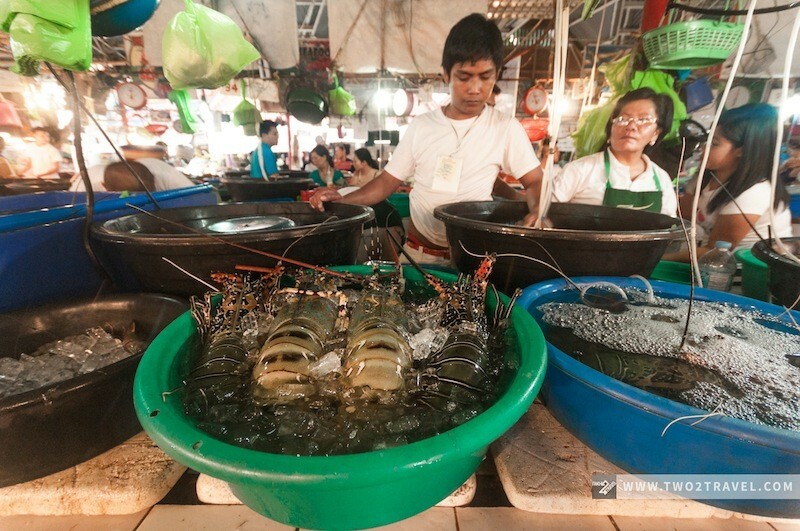 One popular food place is D’Talipapa, where you can shop for fresh ingredients (seafood!) and have one of the surrounding eateries prepare them the way you like it for a fee. This is ideal for groups! If the place you are staying in allows you to cook or prepare food yourself, pay a visit to Talipapa Bukid at Station 3 for the ingredients! Like I always say, the one thing that I love about Boracay and what I think makes it so popular is the diversity of activities. 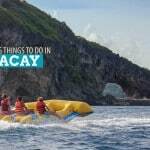 Boracay will keep you busy, and there’s no running out of things to do. It has something for everyone. Here’s a sample Boracay long-weekend (3D2N) itinerary. Note that this assumes that you will be taking an early morning flight to Kalibo and a late afternoon flight back. 01:00 pm – Swimming again, or rest. Just make the necessary adjustments to fit your plans, flight schedule, and activity preferences. If you’re curious how much would you be spending if you follow the itinerary above, the breakdown below can shed a little light. This computation is based on one person staying at a fan room at a hostel and joining other travelers (to form a pair or a group) for the activities. Airfare, airport fees, pasalubong, and partying expenses are not included. As always, there are ways to even make this much lower. 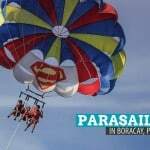 If you’re not interested in parasailing or flyfish riding, you can replace them with much cheaper alternatives. That’s already minus P1600. If you are part of a big group, you can still bring the cost of food down. It is also important to note that things are much cheaper during off-peak season (June-October). The summer months may bring you more fun, but the cost of almost everything grows with the crowd. We had package tour for 2k (initially 2.5k, thanks to our haggling skills) when we went to Boracay last year (group of 6). Package includes 5 major activities (parasailing, atv, banana boat, zipline and helmet dive) inclusive of land and water transfers plus free trick art museum entrance. We wanted to add a 6th activity which is paraw sailing so we added 200 each. (overall, we only spent 2.2k). Thanks for sharing, Cheng! Will contact him the next time I plan to visit Boracay! 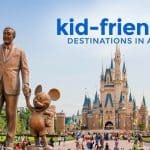 This is a great itinerary, and I love the budget breakdown which is so helpful. Thanks. thank you for sharing information like this it would be a great help . Hi Kate! You can invite more friends to form a big group, or you can join group tours. There are many travel agencies offering group tours nowadays. This means you will be joining other travelers in the group. sir how about going to boracay with 2GO.. ok po ba sila??? mas makaka tipid po ba kami pag ganun..
Wow! It’s my first time to visit your blog. Nacurious ako sa “the poor traveler”. hehe! Sabi ng friend ko hindi naman daw ganun kaganda sa Boracay but after reading your post, I think I would enjoy there. Ishare ko na rin ito sa mga members sa OFW Forum para makita rin nila. Thanks sa information! and sa itenerary..hehe! Great ideas and info here! Boracay is such an amazing place with so much to do! Its great that the pricing here is more or less correct! One thing they like to do on Boracay is raise pricing, especially in high season. So for those of you that make this vacation happen, be sure to stick by the pricing provided here. I promise you will save a lot of money this way! I would also like to add scuba diving to your list. It is a awesome activity available here that is becoming more and more popular! When I see Boracay, I really can’t help but compare it to Panglao beach in Bohol, have you gone there? Wow! Didn’t know there’s a 200-peso-rental van from Kalibo Airport to CORON. Hahaha. Hahaha! Thanks for spotting it. It should be Caticlan. Fixed! Hi, see your blog it is very good.It is really very helpful and informative.The valuable content you sharing with us is awesome.I also suggest you a luxury hotel in Turkey Istanbul that is Corinne Hotel. This is very helpful! One question though, our ETA to Kalibo is 6:30pm plus 2hrs ride to Caticlan that would be (let’s just say) 9pm. Do you think there are still ferry and boats that can transfer us to Boracay? Thanks! Thanks for the info. It will guide my Bora travel on Nov. 13, 2014. I’m excited for this new adventure. It’s gonna be my 1s time in that paradise island. Amongst the beaches that I’ve seen here and abroad, Boracay would still be the best! Galing! I learn the cheapest way to enjoy travelling. 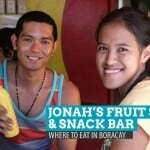 many times we went to boracay pero hndi ako ngsasawa ppunta prin ako jan.
Hi Joseph! We just returned from Boracay. We’ll be posting an updated travel guide soon! Hello Can I ask for updated prices sa transportation sa boracay from kalibo? Thank you! Was a little bit disappointed by Boracay. It doesn’t have an island feel to it. Largely because it was overcrowded (both on the beach and inside the island) and the ongoing construction of buildings/infrastructure was numerous. I agree with the blog post that it was like a downsized city. Was kind of expecting that, since it is an old travel destination, the place would be–more. Will plan to return during an off season. 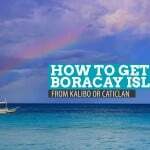 Can i simply book my flight to Caticlan/Kalibo and go straight to Boracay without hotel bookings? I am a solo traveler on tight budget. My plan is just to look for a cheap room when I reach Boracay island. Can anyone sincerely help me here? thanks. We haven’t returned to Boracay since it reopened. We will be coming back this summer pa lang. But according to our friends who have been there, need talaga ng hotel booking. 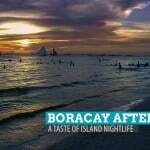 Pls update your information about Boracay after it reopened. We want to know the activities that can be done and the latest places to eat and shop shop.